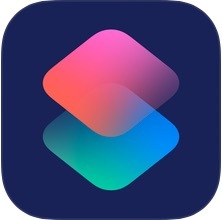 This month we will take a look at Siri Shortcuts. Shortcuts work on either your iPhone or iPad and can bring a means of automation to your everyday workflow. Shortcuts can simplify everyday tasks by combining steps across multiple apps. Shortcuts can be found on the web, are provided by app developers, or can be prepared by the individual user. ApplePickers is a club whose members are enthusiasts about all things Apple. Our goal is to share our experience and knowledge with anyone interested in learning more about using Apple products including iMacs, Mac Pros, MacBook Pros, MacBook Airs, iPads and iPhones. We can also help you with older products including Mac OS 7-9, and even Apple II’s. This page was last modified on March 22, 2019.